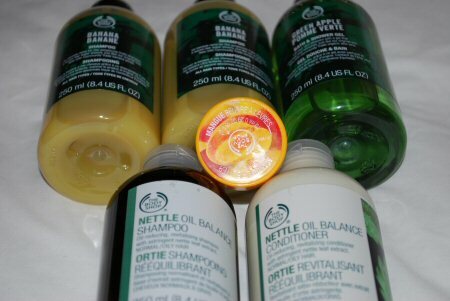 Body Shop! I love that they brought back some of the original scents that I never got to try the first time around (banana, apple, peach, and a few others). Banana smells amazing! I also got some mango lip butter and Nettle Oil shampoo/conditioner. Sephora and H&M. The two bags are from H&M. The one on the left is my new favorite and I'm using it to carry my daily makeup now. Have you guys smelled Philosophy's new scent, Apricots and Cream? Oh my goodness, it's heaven! I also picked up an argan oil stick to try. I'm a biter, so I'm looking forward to seeing how this works on cuticles. The MUFE eyeshadow is just a basic matte brown. 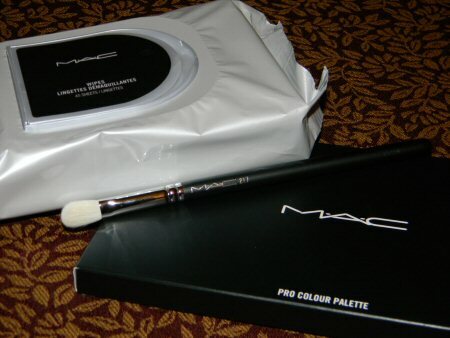 MAC wipes, a 217 brush, and another eyeshadow palette. I only have the travel-sized Sigma SS217, but I do find it to be very similar to MAC's 217. Both have very soft bristles and are great at packing on color, especially pigments! I was disappointed in the selections at both Torrid and the CCO. 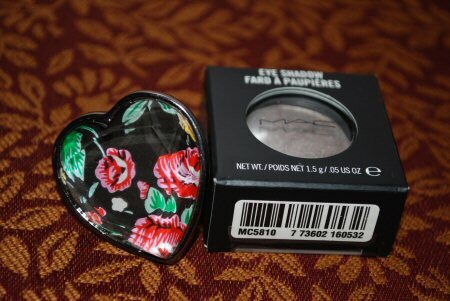 I only found a ring and eyeshadow that caught my eye. I'm in love with the ring! The biggest purchase besides my camera was my new Coach purse. All of my Coach purses have the signature print, so I wanted something different. I love how simplistic it is and I only had one white purse in my collection (with no grays whatsoever). This was a perfect addition to my collection! The vibrant purple lining is just icing on the cake! Nice haul! 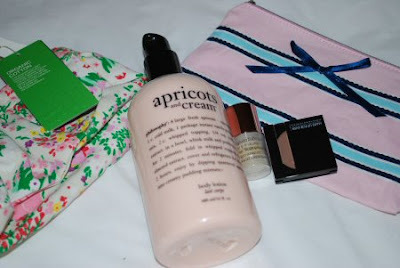 I really want to try out the Apricots & Cream scent next time I head to Sephora. And I love the purse, most of my Coach purses are solids (I find them more classic). I especially love the vibrant pop of color on the inside.